This is the 3rd in the series called "Hands of Emotion". I did the first one in honor of my parents after they both passed away. 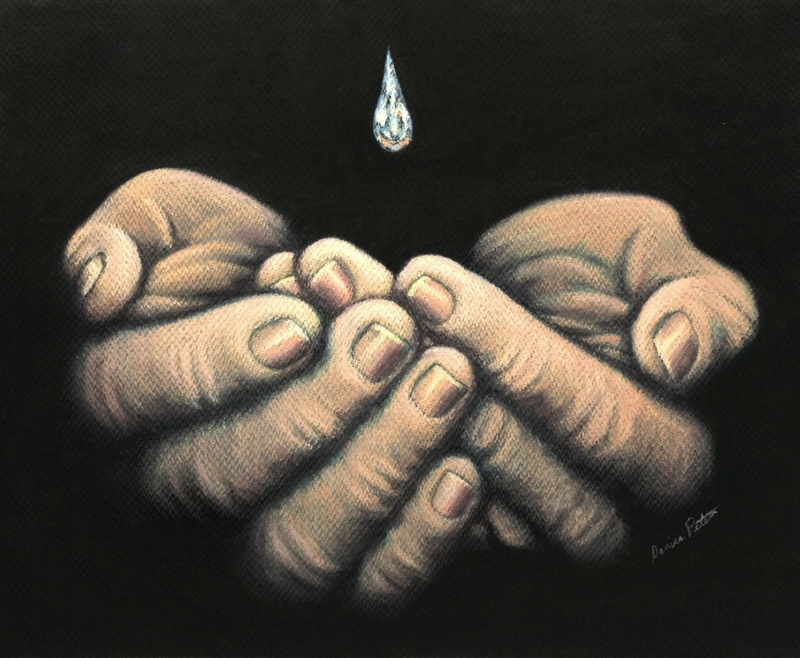 Then I decided to do a series of paintings showing how hands can express a lot of emotion. I called this one "Hope: Anticipation for More" because hope and anticipation are very closely tied together. I wanted hands waiting and willing and accepting hope and anticipating more will come. The drop symbolises that hope. It's bright and reflecting it's reciever and surroundings just as having hope reflects on us. Also the drop is to symbolise that sometimes hope comes little by little, or drop by drop. It is all soft pastel on Mi Tientes pastel paper. 9" x 11"13" x 15.75"17" x 20.625"21" x 25.5"